Welcome to the Ozbadge Studio© Design. 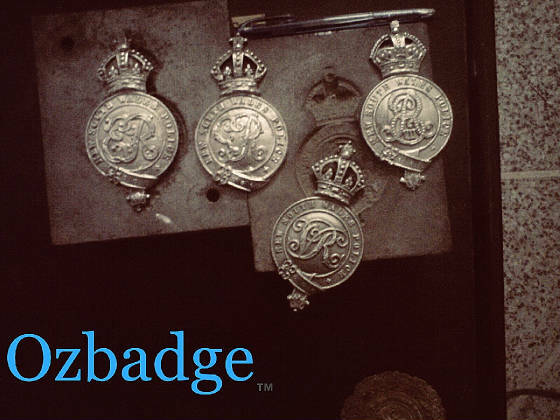 Ozbadge© has been proud to have listened to, designed and collaborated with history, to help manufacture and supply unique insignia to Police Departments and Museums for just over 10 years. 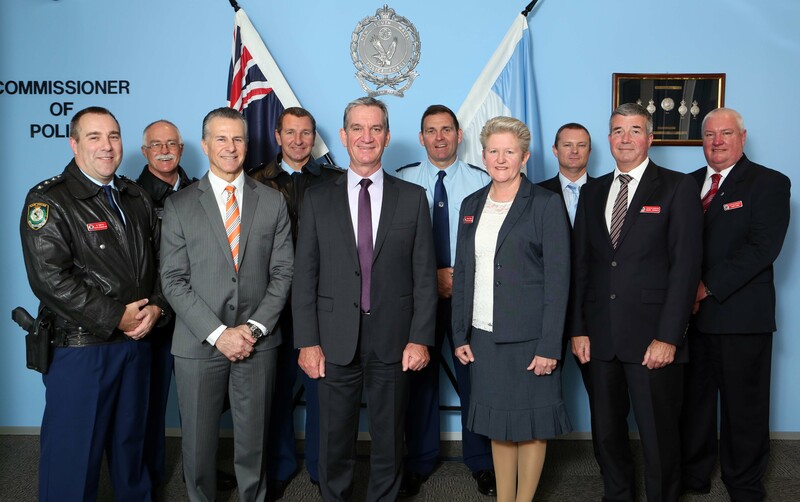 Our clients and customers have included, in some small way, most major Australian Police Forces. You know us by name because we like to be team players. and let's discuss the future. Ozbadge was proud to produce and donate this frame to the N.S.W. 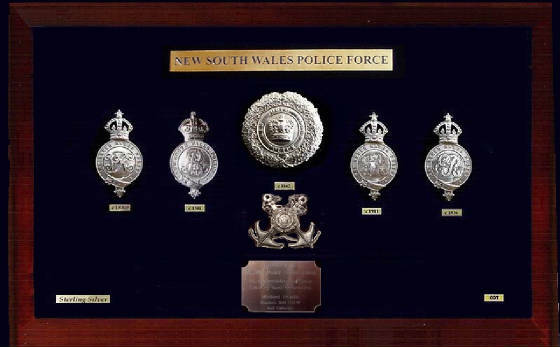 Police Force Marine LAC in Balmain, Sydney; in appreciation of their long and historical service to N.S.W. The frame is made of solid, Sterling Silver replica helmet plates, from c 1862 - 1936, with a "pewter", cross anchors device and presentation plaque. 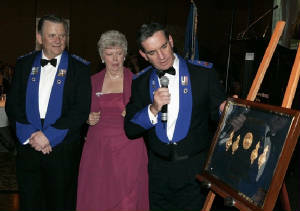 The frame was personally dedicated by Mr. Mike Neville, while touring the complex, in 2009. 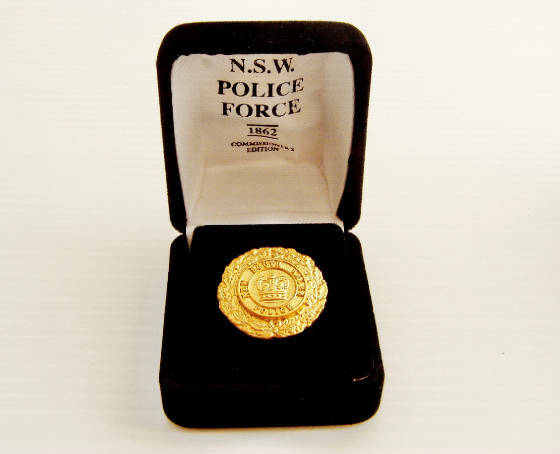 NSW Police Commissioner Ken Moroney AO APM retirement lapel badge, designed by Ozbadge, using the "1862" badge. 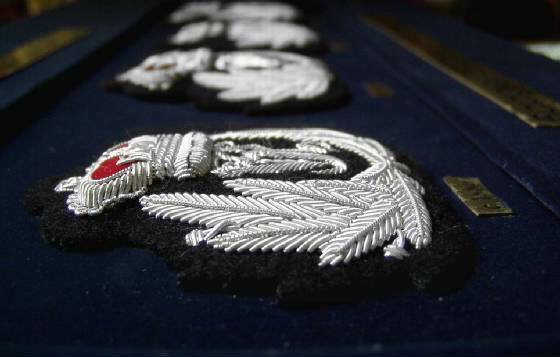 If you received one from the Commissioner, consider yourself honoured. 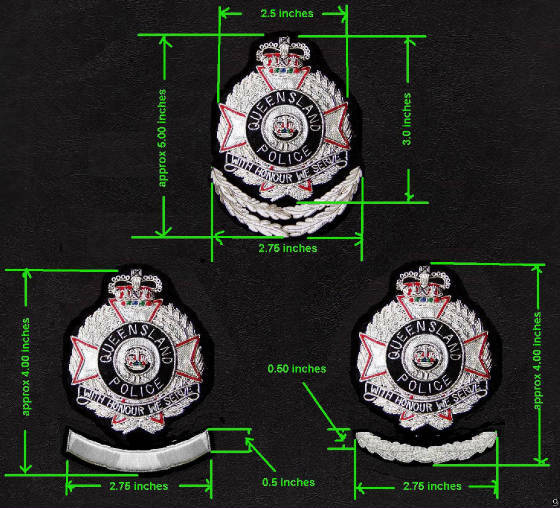 Only a small number were made and are serial numbered and marked "Ozbadge" on the back with a "C" prefix. Please help us support our future Aussie designers and manufacturers. Mike Neville. and NOT necessarily for display as historic fact. Some reproductions may have been made slightly smaller or larger than the originals, and/or with/defects and/or a modern date, and/or a current "Oz" maker's mark; in order to help protect the intrinsic historical value and/or or the identification of any original/s artifacts that may still exist. Email: studio@ozbadge.com for details or any verification/s. ALL of our user agreements, disclaimers and terms and conditions; whatsoever. Please see: www.ozbadge.com for disclaimers, agreements and conditions of use. Ozbadge (R) and EID devices (including the "checkered steps" device) are Pending and/or Registered Trade Marks of Australia and/or the USA. Warning: Any impersonation of any Police officer, Agent or Law Enforcement Officer or any unauthorised use and/or possession of certain Police insignia carries severe penalties. Check your local laws first !